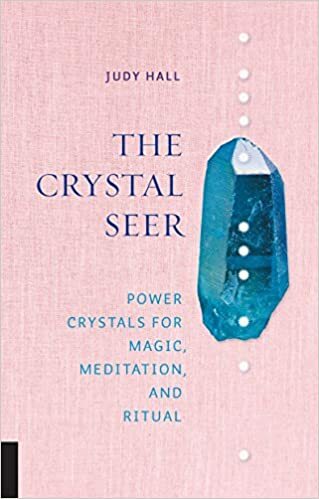 This week I'm reviewing The Crystal Seer - Power Crystals for Magic, Meditation and Ritual by Judy Hall. Just as I start all my reviews this one starts out with the actual quality of the book itself. The copy I was sent is a hard cover book with a mat cover finish. It has a fabric feel and actually feels good in the hands. I was reminded of the old saying "Don't judge a book by its cover" when I looked inside this book. The cover is not very flashy. I hope that when this it out for sale, it has a dust jacket or something that will give the buyer a sense of how fabulous the photos are inside. 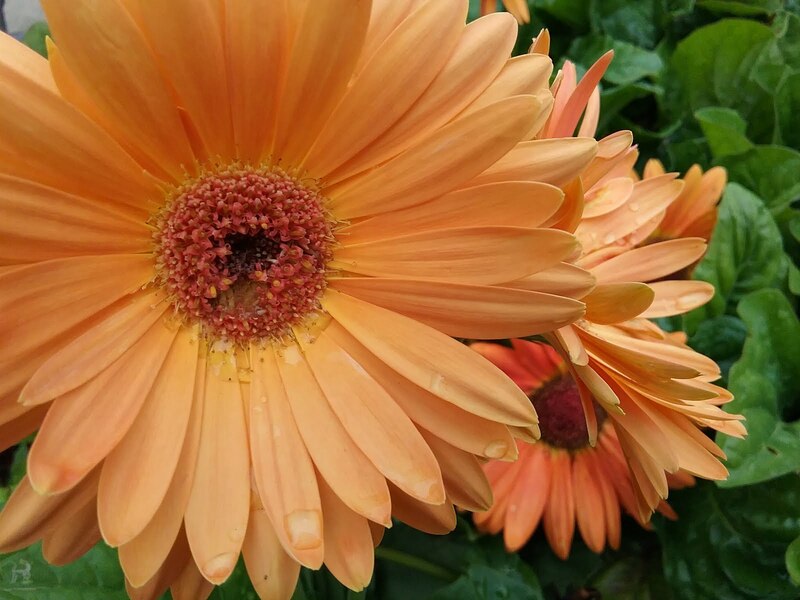 I was blown away at the quality of the images inside. The cover tricked me into thinking this would be something bland and simple. But to the contrary, I was astounded at most of the images. The Labradorite and the Reticulated Quartz are amazing. 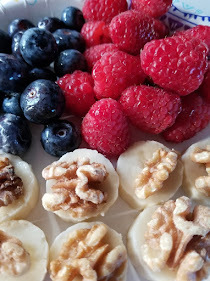 They look as though you could just pick them up right off the page. The book is a nice size for tossing in a tote bag, or backpack for easy reference. I also like that the pages are glossy. This gives it a good feel in the hands. I really like the spine alignment and the page edges. Excellent printing and binding on this one. 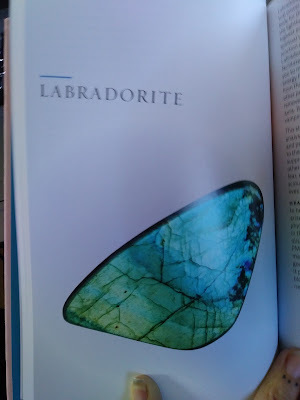 The author begins the book with an introduction to crystals in general with sections on how to find the right ones and attunement. I think this is missing is a great many crystal books and I'm really surprised at times when I read about them being tossed in a bag or left in a window for a long period of time without any information on recharging, cleansing or draining processes. The crystal information begins on page 16 and is the bulk of the book. Each crystal has a large full page photo and basic descriptions provided as well as info under the headings of "Heal, Transform and Realize" This book contains some of the more well known crystals, such as Amber and Amethyst and some that I had not heard of like Shiva Lingam. The Stibnite and Sugilite photos are amazing. I cannot get over the absolute stunning quality of the images in this book. The back of the book contains a section about the author, a glossary and an index which, in my humble opinion, makes a book extremely useful as reference material. 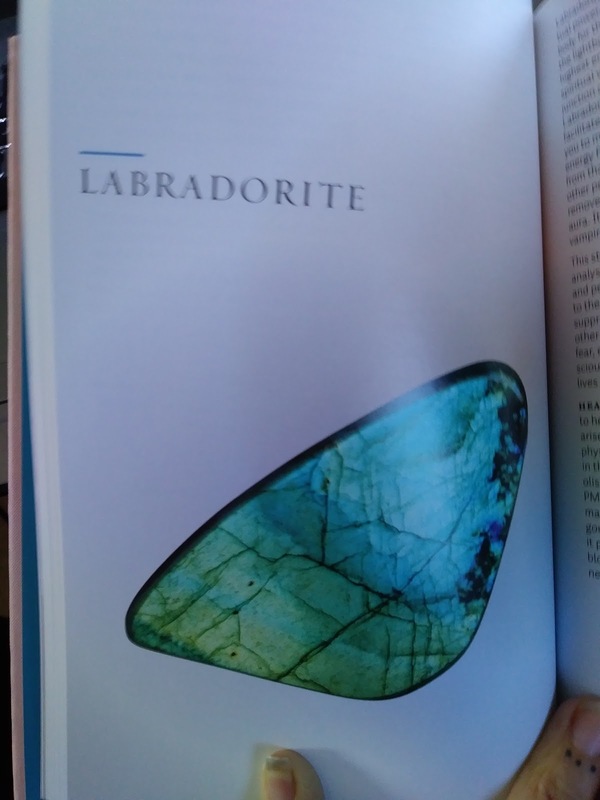 While the crystals are listed in alphabetical order, the index opens up the content to include pages based on historical figures like Alexander the Great to illness such as diabetes and cancer. This allows the reader to truly leverage the the content from all sorts of perspectives without having to the exact name of the crystal being sought. 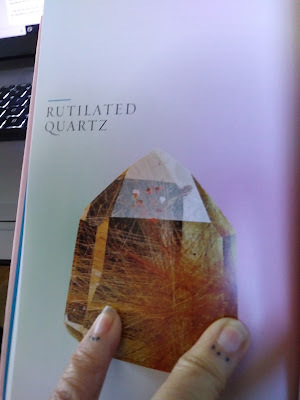 Over all this is a really great book to have in any collection and I can see it being a reference for me in my work with crystals for my jewelry. Special thanks to Fair Winds Press for providing me with this copy to review.